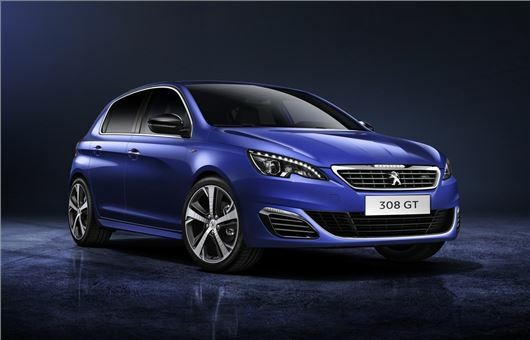 Peugeot has launched two new versions of the 308. The is GT Line which is designed to blend the styling of the 308 GT with a wider range of engines. Available in both hatchback and SW bodystyles it replaces the Feline trim and prices start at £21,345. The GT Line sits above the Allure model and comes with 18-inch Diamant alloy wheels, twin exhausts with a rear diffuser and privacy glass. The interior gets half-Alcantara sports seats with red stitching, plus a driver and front passenger lumbar adjustment with massage function. There is also a GT style leather steering plus aluminium-style pedals and door sill protectors. Lower down the range, Peugeot has also launched the 308 Sportium. Available with the impressive 1.2-litre PureTech petrol engine, with either 110PS or 130PS, the Sportium is based on the Access trim and only comes as a hatchback, starting at £17,345. Standard equipment includes DAB radio, air-conditioning, cruise control, 16-inch Diamond alloy wheels, driver’s lumbar support, rear parking sensors, a leather steering wheel plus automatic headlights and wipers. Two factory recalls for faulty door locks, can't adjust headlamp rake (it's automatic adjust based on car load) which makes mid range viewing very poor. Dashboard satnav speed limit occasionally differs to that on the satnav itself therefore don't trust it. The biggest let down, practically theft, is the MPG. On a very steady run to Scotland doing approximately 60mph, the best I could achieve was 55.6mpg rather than 72, average combined is 41.5. I've been reading a report by the AA, and the average shortfall from government figures has now decreased from 16% to a shocking 40%!!!! I am a careful driver, car is a 150bhp 2ltr 308 GT line Automatic. Grips road well but feels every bump. Seats very comfortable. All in all a good looking car but total rubbish mpg, which given the fact that the MPG was a main purchasing factor, makes me feel that Peugeot should be investigated in a similar manner to VW.